If you live in Ontario and are a skier, you are probably like me and feeling like winter ripped you off! I even have a pair of new skis for this season. 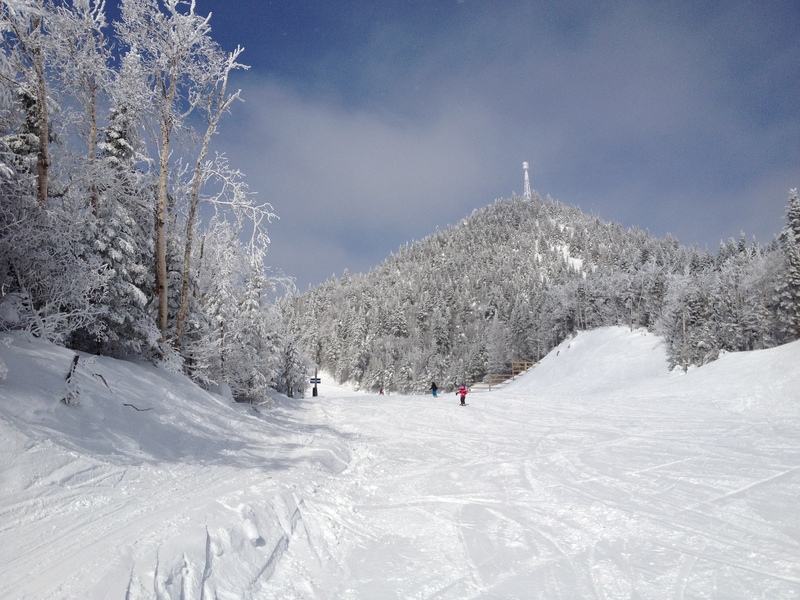 This past weekend I took my first trip to Tremblant and I fell in love. We stayed two nights outside the village and one night in the village and while they were very different experiences, both were wonderful! Outside the village we stayed at Chateau Beauvallon which was comfortable and elegant. Our room had two bathrooms and a small kitchen. 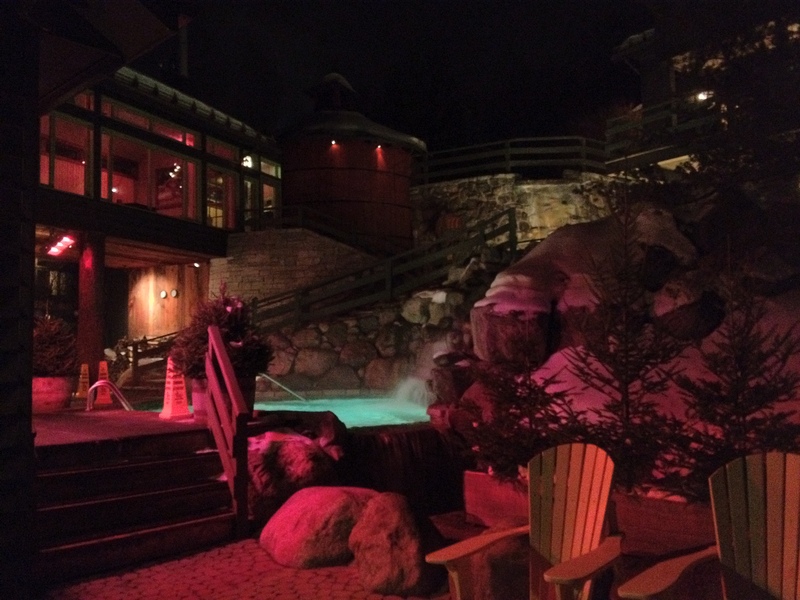 We took their shuttle to the mountain during the day and sat in the outdoor hot tub apres ski. I would recommend this place to everyone, even at regular price. I, of course, had a Team Buy voucher. In the village we stayed at Homewood Suites which was less elegant but right in the village. The village is busy so you have to want to be in the middle of things; for us it was a nice contrast from the first two nights. You can literally walk out the door and over to the lift. This video (that I was asked to watch as part of a survey) Take me to the top, sums up most of my weekend! I definitely plan to return next year for a longer stay. A trip to the Scandinave Spa Tremblant – Does this qualify me as a polar bear? 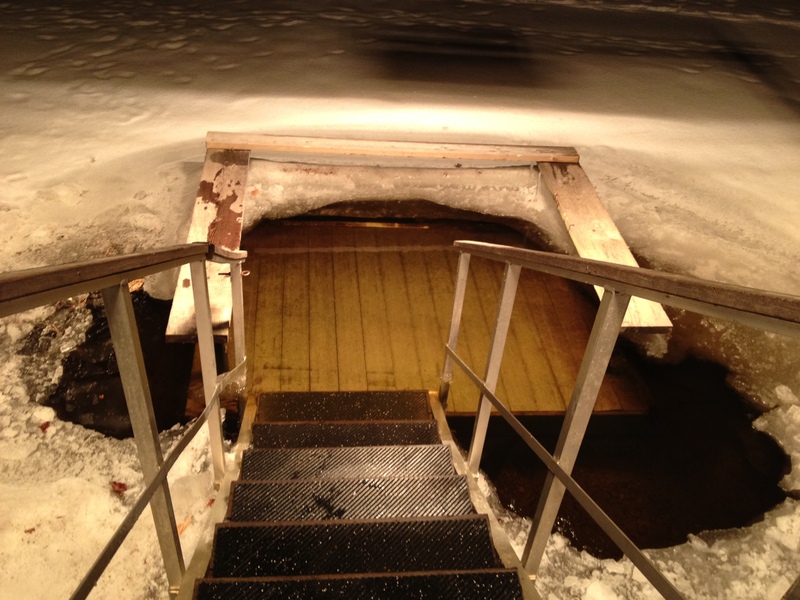 This was my first trip to this type of spa in the winter and at night so it takes some getting used to; walking around in your bathing suit and flip flops in the snow! The landscaping and design is just wonderful. You can hear waterfalls and smell wood burning. It is very tranquil (especially since there is to be no talking – yes, that is hard for me, we had a few whispered conversations while in the hot pools). Now part of this process, that has tremendous health benefits is the dip in the cold pool and in addition to cold pools this location has the river. You can actually head down for a dip in the river. It is as cold as it looks! I will always try something once! It is cold… everything went numb and tingled… everything! I went in the river twice in the process before heading in for a massage and would encourage anyone at the Tremblant Scandinave to give it a try!